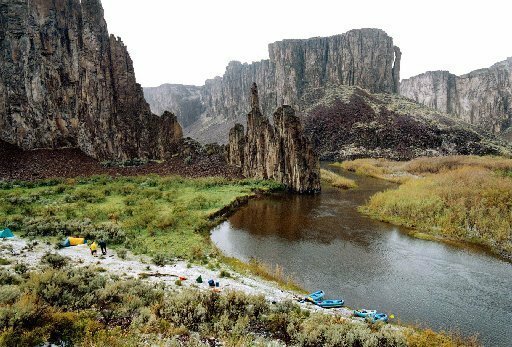 Owyhee is a collaborative manuscript written between Idaho, Hawai'i, and Mexico over the course of one year; the title is taken from the Owyhee Mountains of Idaho, which are said to be named from an alternate spelling of Hawai‘i. Poems from Owyhee have also appeared online at Country Music, Horse Less Review, Hawai‘i Review, and Alice Blue Review. Karena Youtz is a poet living in Boise, Idaho. She is the author of the full-length poetry collection, The Transfer Tree (1913 Press, 2013). Scott Abels is the author of a full-length poetry collection, Rambo Goes to Idaho (BlazeVOX, 2011), and a chapbook, Nebraska Fantastic (Beard of Bees, 2012). After having spent three years living and teaching in Zipolite, Oaxaca, he now lives in Honolulu, Hawai‘i where he edits the online journal of poetry Country Music. I spent the morning planting cantaloupe. Yesterday, everyone’s tongue was out, Karena. I sort of think that’s good clean Rock and Roll. to underline my name on a form. Rock Stars do tend to have better health care. righteous about getting paid in pesos here. go with tragedy as tragic. Werner Herzog: "The poet must not avert [her] eyes." why might that be funny? and a strategy for effective telephoning. tomorrow you will know why when you triumph. Why might that be funny from now on. the size of the problem of the riddle. into a street in Boise. that I put in a poem. Oh, bitterness, I lost my father. looked like the ones they have in Hawaii. that’s how you know it’s him. on his shoulders. Between us, Scott, we might listen to forget our tricks. Boise. At the same time we misspell the name.